Holders of cumulative cards get special discounts on goods. Making purchases for amount above 100 KGS, they get bonus points which can be used for payment for purchases, 1 bonus = 1 KGS. 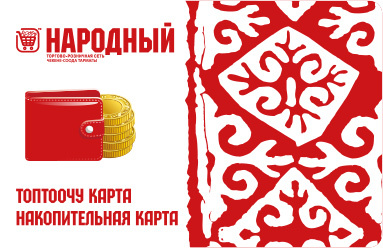 Purchases in “Narodnyi” are more simple with О!Money purse. 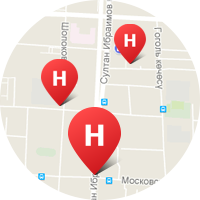 Now it is possible to pay for purchases in the “Narodnyi” stores chain with О!Money purse. We declare opening of "Sweet week"! It happened! On April 11 was “Generous Wednesday”.